Mayor Bailey was greeted warmly as he promptly started the first Town Hall Meeting in the Cays on Thursday, August 9, hosted by the Cays Home Owners Association (HOA) with a crowd of about 75 people. Councilmembers Sandke and Donovan also attended the meeting. Mayor Bailey began with a general update and highlighted that the City Council works as a team to get things accomplished. He mentioned that the city recently adopted a new budget with $53 million in revenues and $52.5 million in expenses, leaving $500,000 to go in to the general reserves fund, which now totals $68 million. He is proud of the city’s fiscal accomplishments, which were started by previous councils and will continue. The City is doubling down on public safety with a fully staffed police department issuing 65 percent more citations to enhance security. Currently led by interim Police Chief Ed Aceves, the city expects to announce a new chief by the end of the year. The mayor emphasized that school bonds are not the responsibility of the taxpayers, but of the Successor Agency. By paying off the bonds early, Coronado schools will receive an additional $17 million per year, which amounts to approximately $117 million more in revenue, between the years 2027 and 2036, when the bonds were originally scheduled for pay off. “This is one of the best decisions that the City Council has made,” he added. 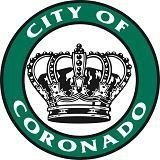 The City of Coronado is working with Imperial Beach, one of the entities pursuing litigation in this matter. Coronado is giving funds to help offset the cost of the litigation. People have asked why Coronado is not involved in the lawsuit and the mayor said that “the simple answer is that by not getting directly involved in litigation, it allows the city to concurrently work via diplomatic channels. We are on the cusp of a conceptual plan that should be presented by the end of the year.” Preparing this draft involves working with multiple local and federal agencies, and includes a catch basin on the American side of the border to help alleviate the problem. Next, the mayor addressed issues specific to the Cays. “I work for all of you. I am better at my job if I hear from you,” he began. Funds have been authorized for the renovation of the Cays Park, which is obsolete with water-wasting irrigation. In going ahead on this, the City wants to hear the residents’ needs and has just started the process by appointing a steering committee to start the conversation. A conceptual plan will be developed and given to the Cays HOA, and residents will be given the opportunity to offer input. Due to a potential lawsuit, the City of Coronado needed to make changes to one of its community signs, which only listed churches. To avoid lawsuits, the new sign highlights both community and faith-based organizations. When the city approached the Cays to ask if they also wanted a new sign, the HOA said that residents were not interested. Some residents have requested new signage for the Dog Park and its rules; but the mayor, along with others, feels that people who currently don’t comply won’t do so because of new signs. He said that the Parks and Recreation Department has not been approached about this matter, but when one of the residents handed him a petition with 40 signatures, he said that he would direct it to the proper channels. With new innovations in technology, the City has to create and update ordinances. Coronado currently doesn’t have a drone ordinance, but staff is working with the Navy, Cays HOA and community to draft an ordinance that will allow illegal drone usage to be enforced. The City is talking with the Cays HOA regarding the soccer fields. There are residents both pro and con about the fields. The city will be looking into it, especially with regards to the parking impact. The City paid for the free Summer Shuttle to include the Cays for several years and determined that with the low ridership, it was costing about $15 per rider, to which the mayor joked that “it would be cheaper to give out Uber passes.” The volume of ridership in the village makes the cost less than $1 per rider, which he pointed out makes more economic sense. They experimented with a Loews partnership and again not many Cays residents took advantage of the program. They even tried offering free bus pass vouchers and “we had to hand them out like confetti to get rid of them. It is incumbent on the City to make the best economic decisions and this just doesn’t pencil out at this time,” said the mayor. The Seniors Out and About Program was mentioned as a solution, where residents can book door-to-door trips in advance for a nominal fee. The mayor then opened up the floor for questions and answers and addressed many issues from residents. He informed attendees that the Gateway project is moving forward with a revised plan and should be completed in nine months. He answered that installing parking meters on streets by the ocean is not allowed by the Coastal Commission. In response to rising water costs, he pointed out that the city has a water recycling program in place for the golf course and the medians on Orange Avenue and has seen a four to five percent return. He called up Councilmember Donovan to address the issue of the Grand Caribe bayfront since he has been dealing with it. He said that the lease holder has a contract with the Port of San Diego until 2034, and they have tried working with them to no avail. Now they are doing their due diligence and going to the Port to get the lease holder to hold up their end of the lease, and Bill Miller from the Port of San Diego is coming next week to help assess the situation. There is a caveat with the boat storage portion of the lease coming up in June 2020 to make changes at that time. As the Port updates its master plan, the City will ask for the bayfront to be designated as recreation space with parks and trails. A big issue of concern was safety entering the Cays coming South on the Strand. The City has tried to help increase visibility for both bikes, pedestrians and cars with new vegetation and lowered walls. A stop sign was installed, but had to be removed due to Caltrans bureaucracy. Residents cited that pedestrians and bikes do not give cars the right of way at the light. The mayor said “I, along with many of my fellow bike riders, try to make sure to be an example for others on the road.”. Other issues involved shade trees at the dog park, a drinking fountain for the grade school playground and the red zone on Port of Spain Rd. When one resident pointed out that the walls outside the Cays have not been updated in years and wondered if they could be re-stuccoed and painted, a former HOA member said that they asked the City for those repairs two and a half years ago to get on the capital improvement timeline and they should be slated for 2019. Mayor Bailey stayed afterwards to answer individual questions.